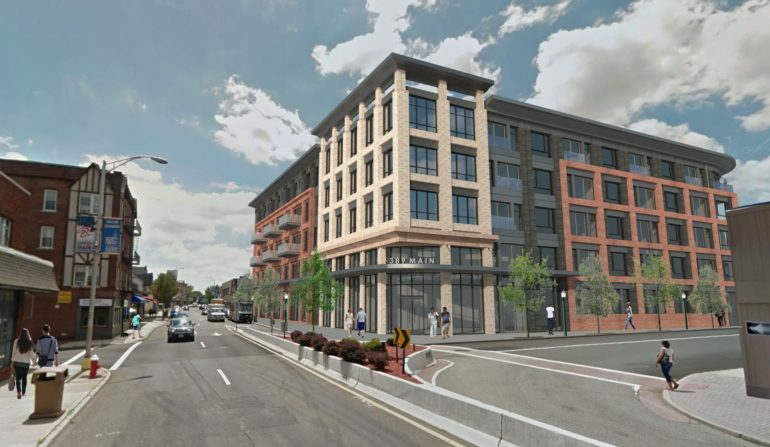 A rendering of 389 Main, a planned 82-unit apartment building in Hackensack — Courtesy: The Hampshire Cos./Claremont Cos. 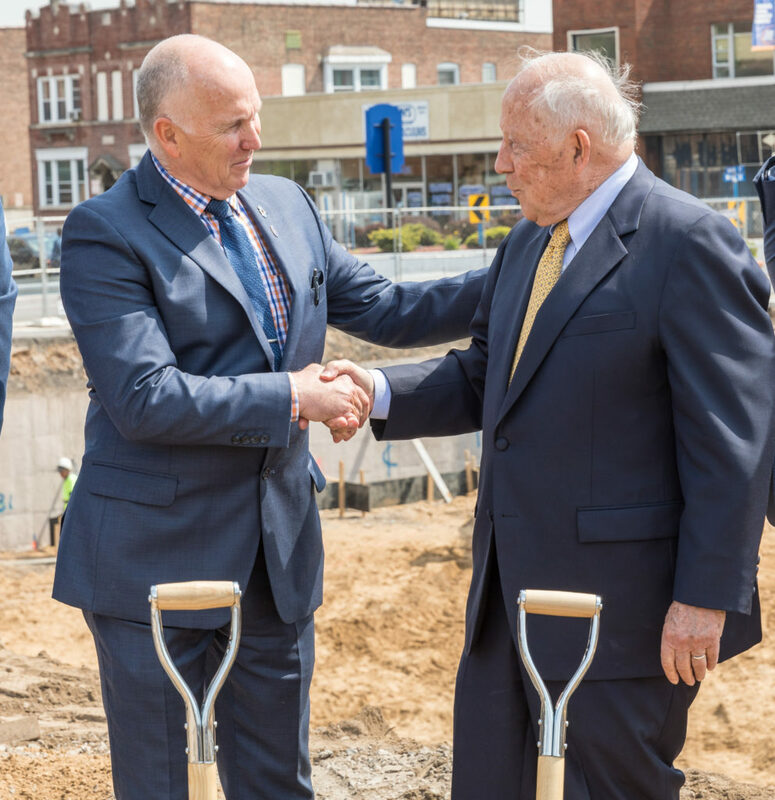 It was a groundbreaking 50 years in the making. 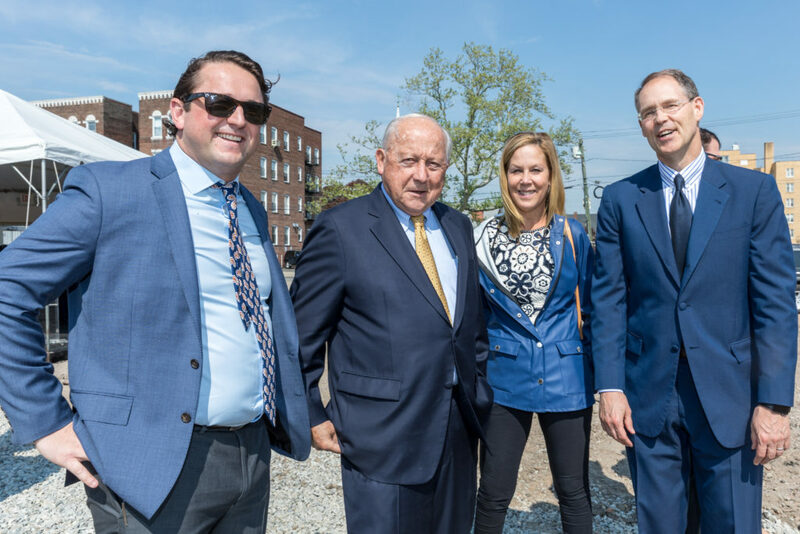 At least, that’s how long the Hanson family has held an interest in the parcel that will become one of Hackensack’s newest apartment buildings. 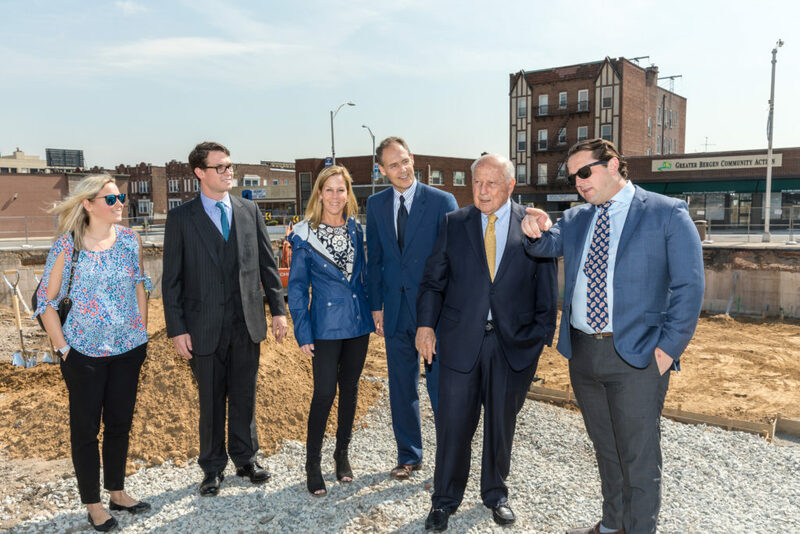 But even that is a small piece of the family’s history in the city. 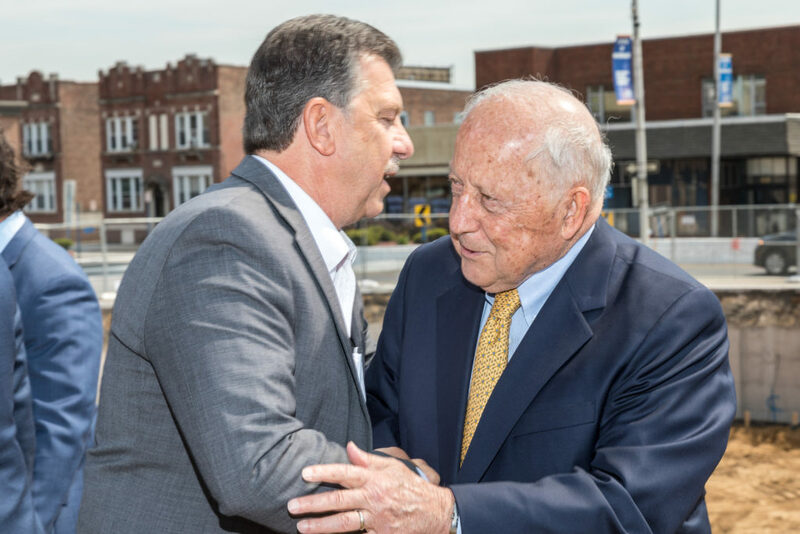 As Jon Hanson said Thursday, his father came to Hackensack in 1905 and spent his formative years there, before founding what would become one the state’s best-known, multigenerational real estate businesses. 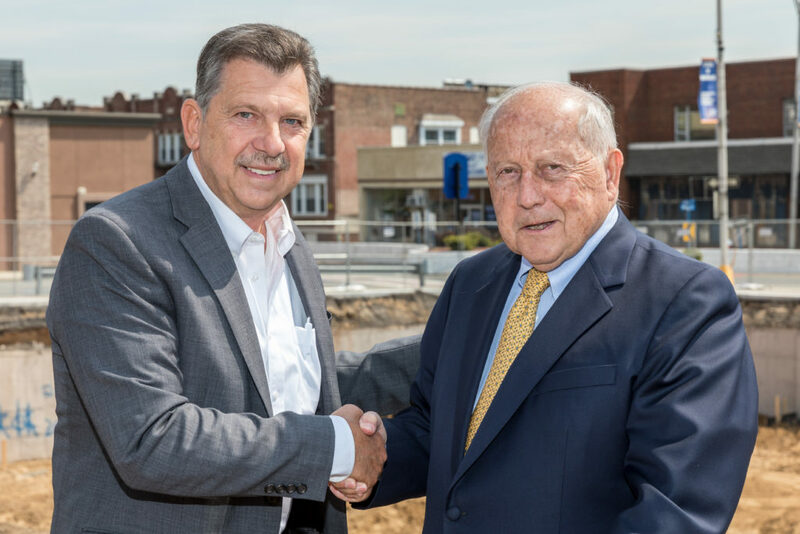 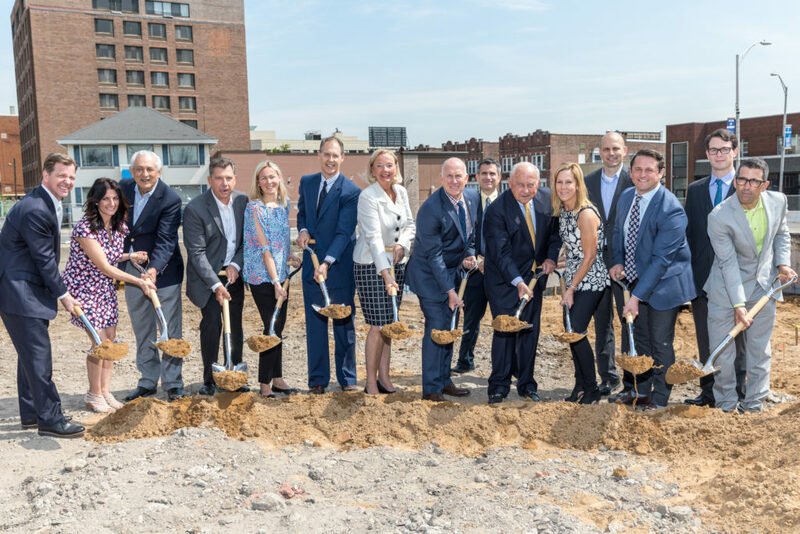 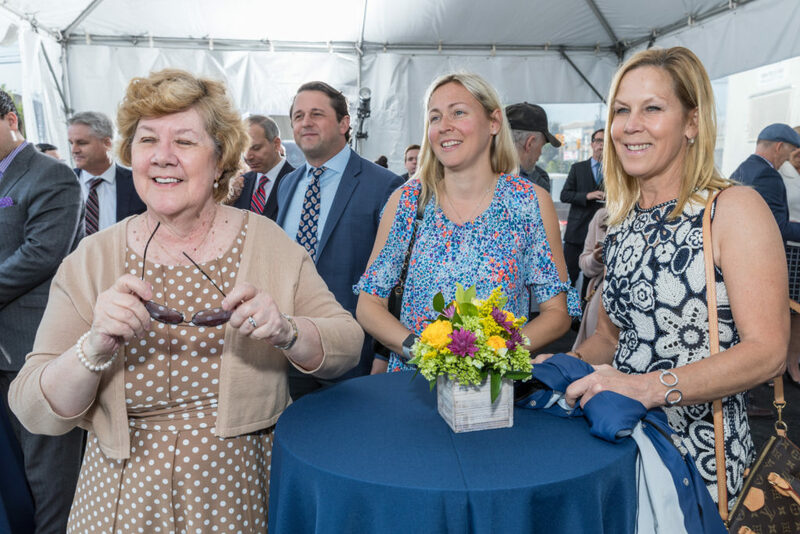 The Hampshire Cos. founder and chairman was among those on hand Thursday as the Hanson family and Claremont Cos. broke ground on 389 Main, a new 82-unit apartment building in the city’s downtown. 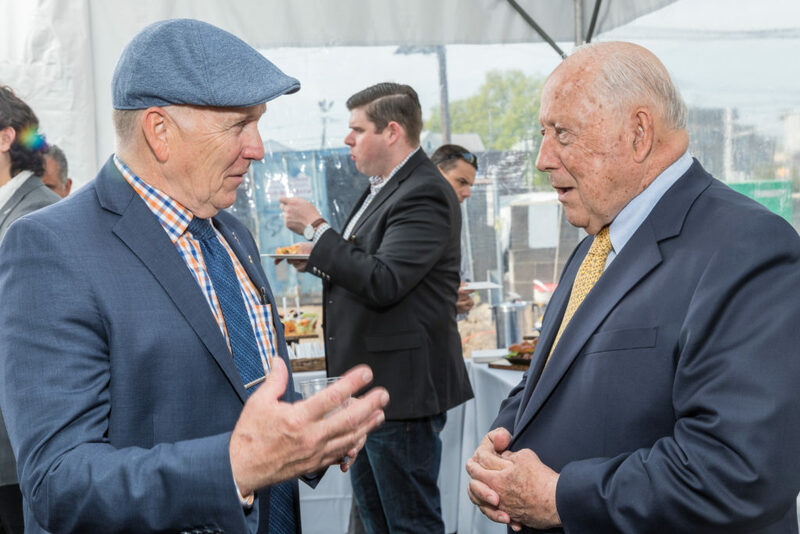 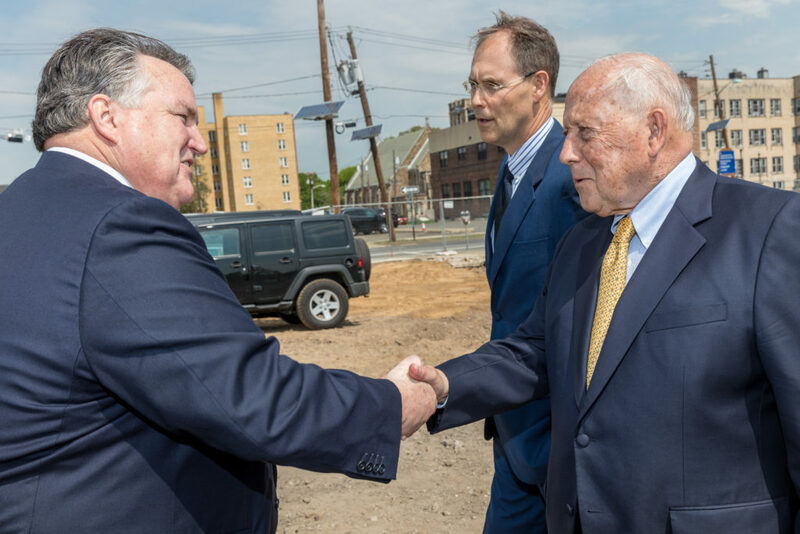 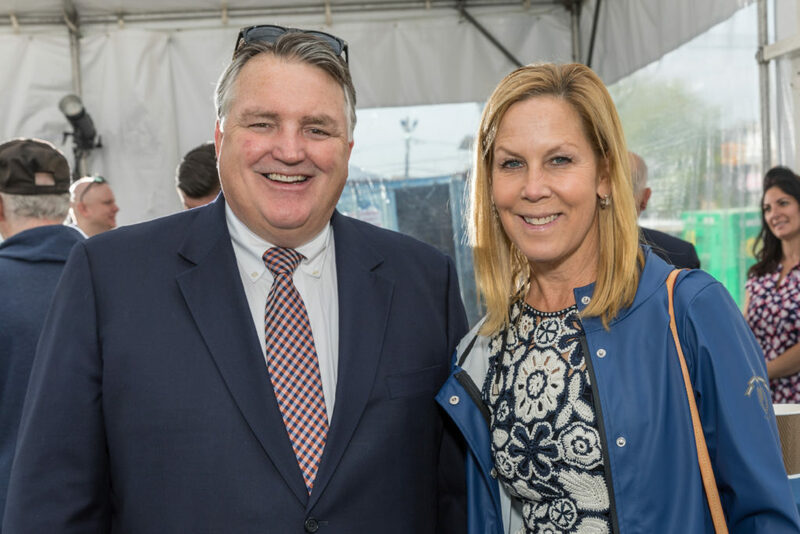 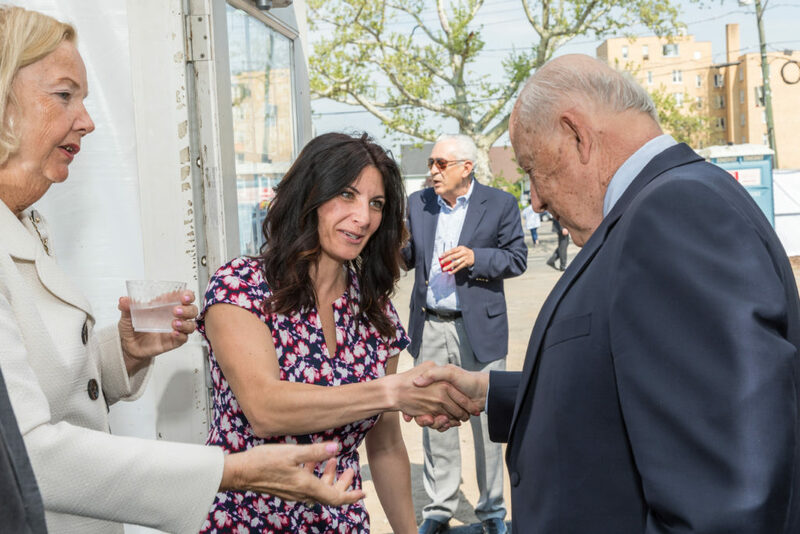 He joined local officials, business leaders and other members of the development team to celebrate the milestone, which they hailed as another step forward for the onetime epicenter of Bergen County. 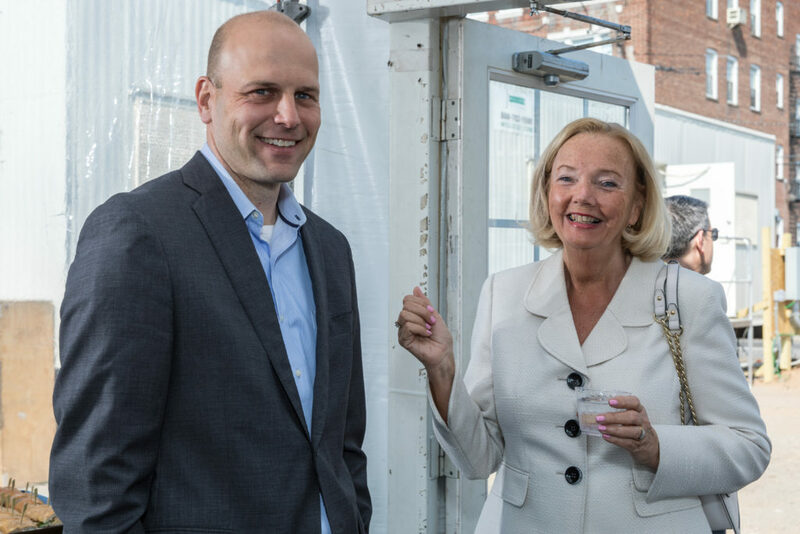 All photos by Hal Brown/Courtesy: The Hampshire Cos. 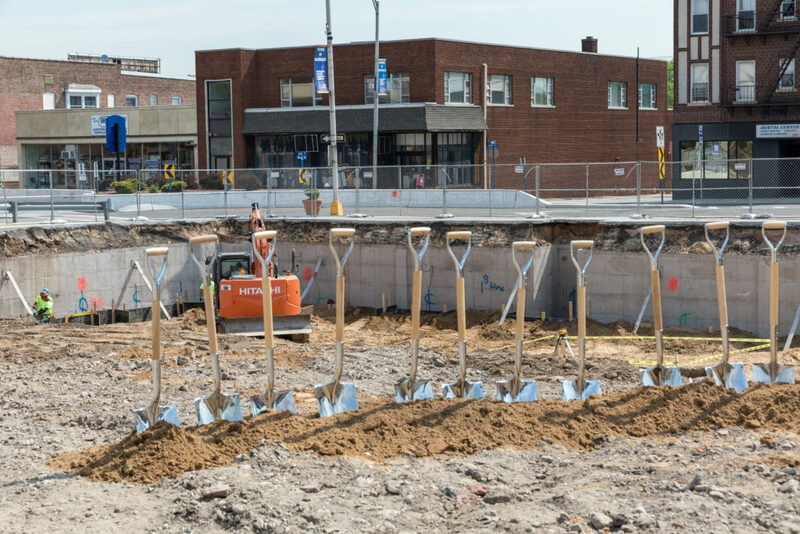 Located at 383-389 Main St., the five-story building will also include 3,500 square feet of ground-floor retail space. 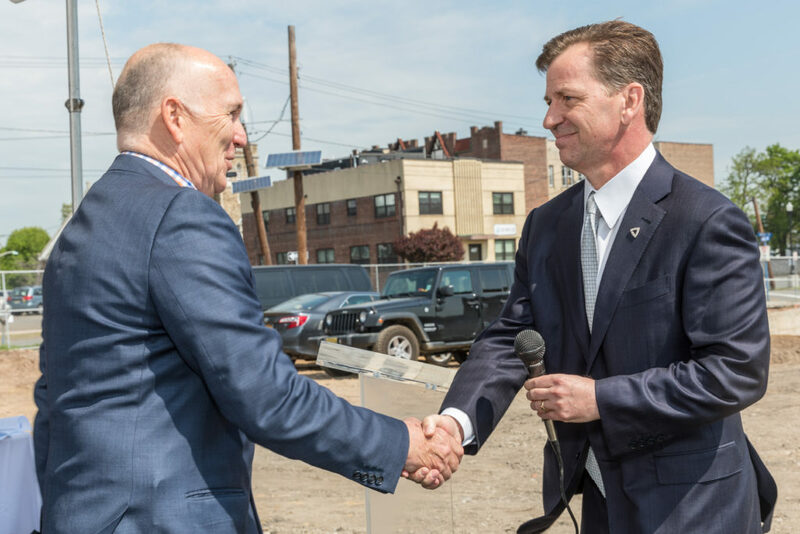 Provident Bank financed the 119,000-square-foot project, which was designed by Minervini Vandermark and is slated for completion in fall 2019. 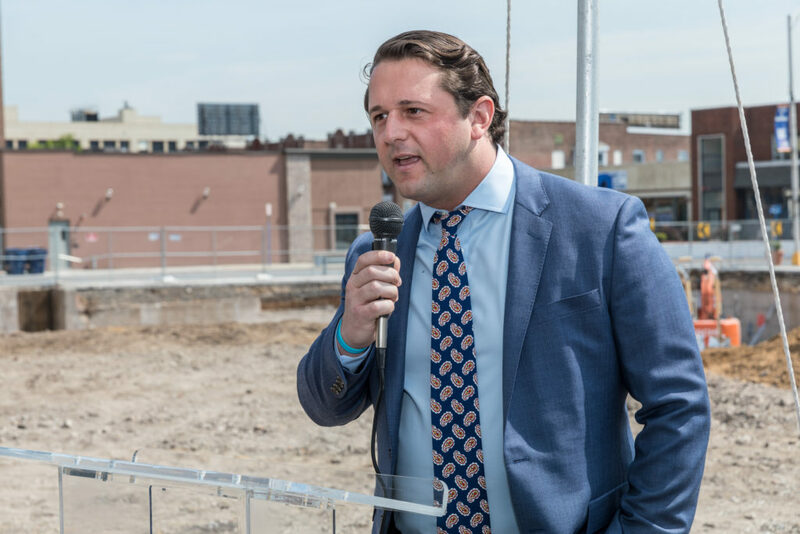 The apartment mix will include eight studios, 48 one-bedrooms and 26 two-bedrooms, Hampshire said, touting a location just a third of a mile from NJ Transit’s Anderson Street station and its direct service to New York City. 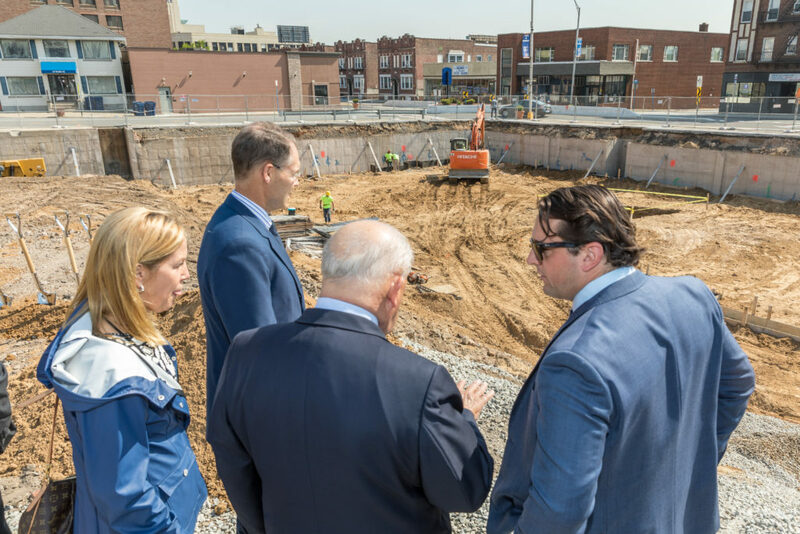 The building will also feature amenities such as a gym, multiple indoor lounge areas, public outdoor terrace, on-site parking and bicycle storage. 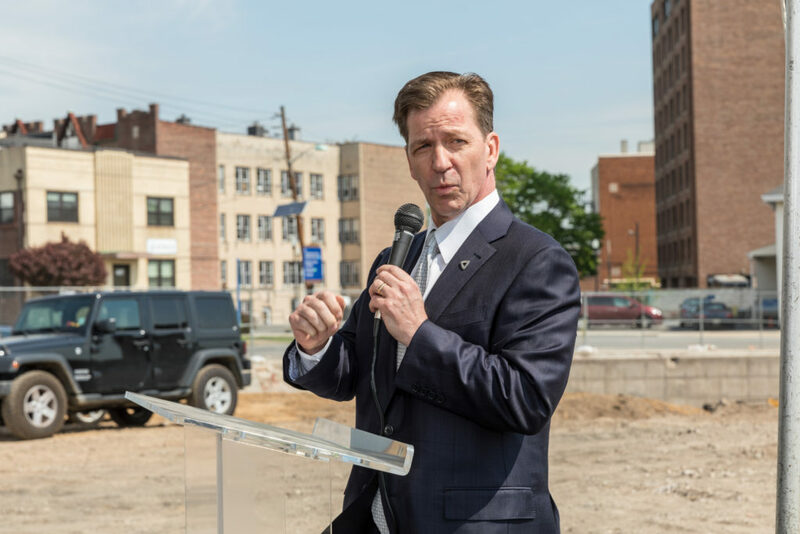 In recounting his family’s roots in Hackensack, Hanson said Hampshire is also part of the team that plans to redevelop the former headquarters of The Record on River Street. 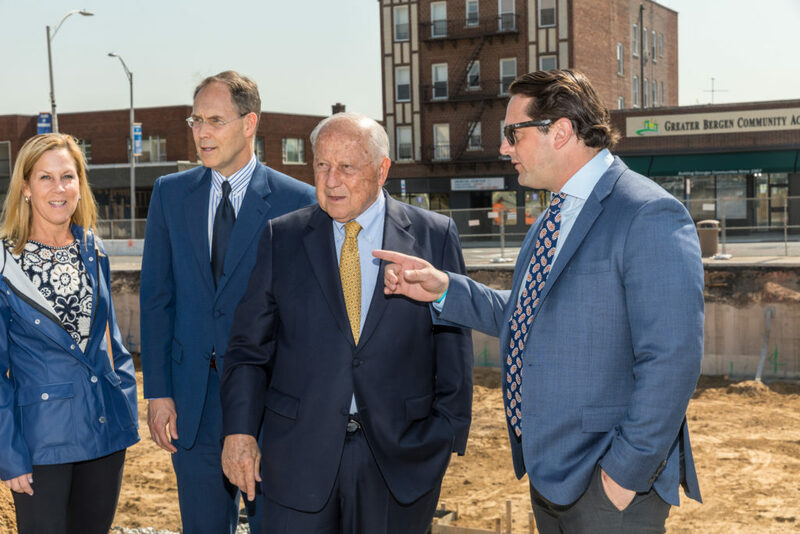 But when it comes to 389 Main, the Hansons first acquired 10 percent of the property some 50 years ago and later wound up with complete control. 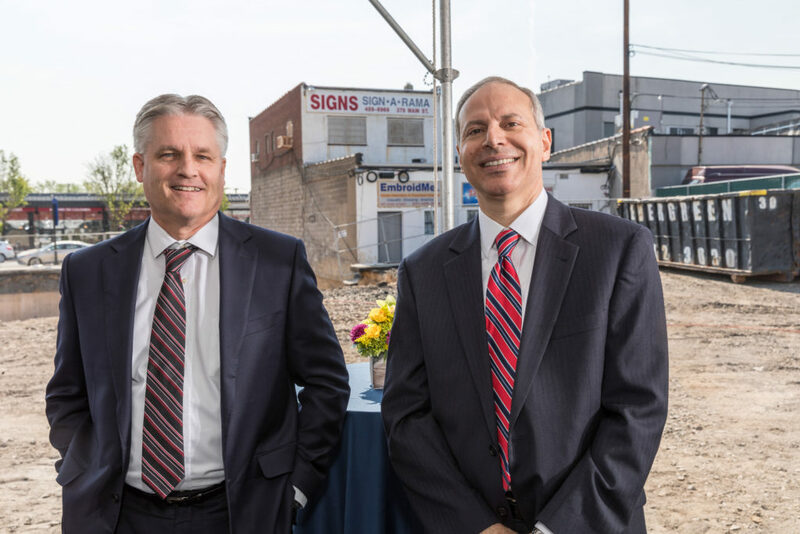 An entity known as Sonehan LLC, led by Hanson and his brothers Peter and Donald, recently acquired the last piece of the full development parcel. 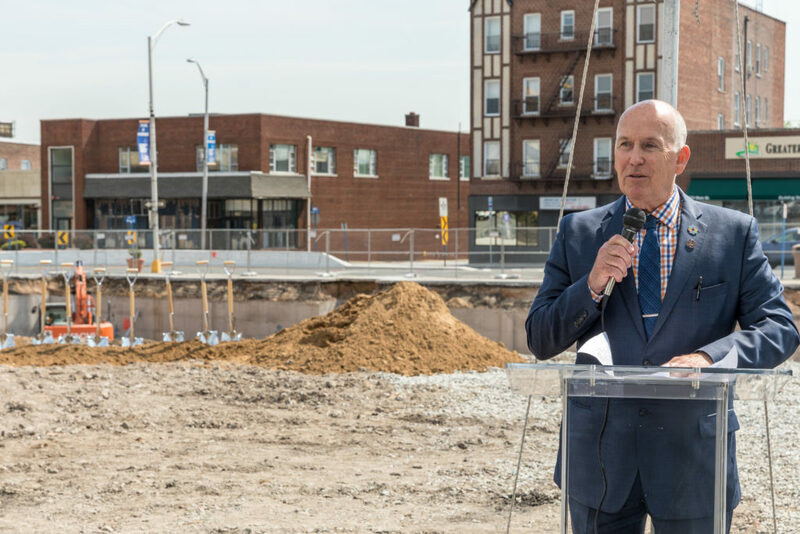 And it came as city officials and business leaders were carrying out a long-awaited plan to rezone and revitalize a 120-acre district surrounding Main Street. 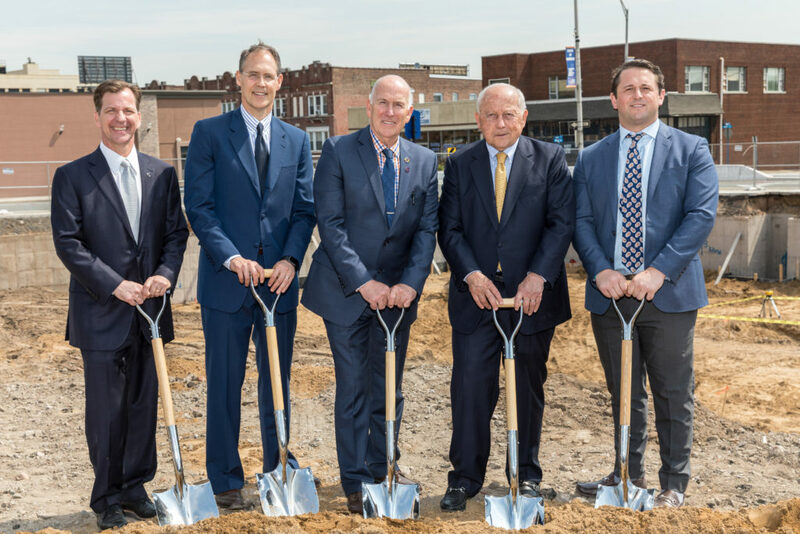 Hackensack Mayor John Labrosse said “you can’t help but feel the difference in our downtown,” thanks in part to the ever-growing construction activity. 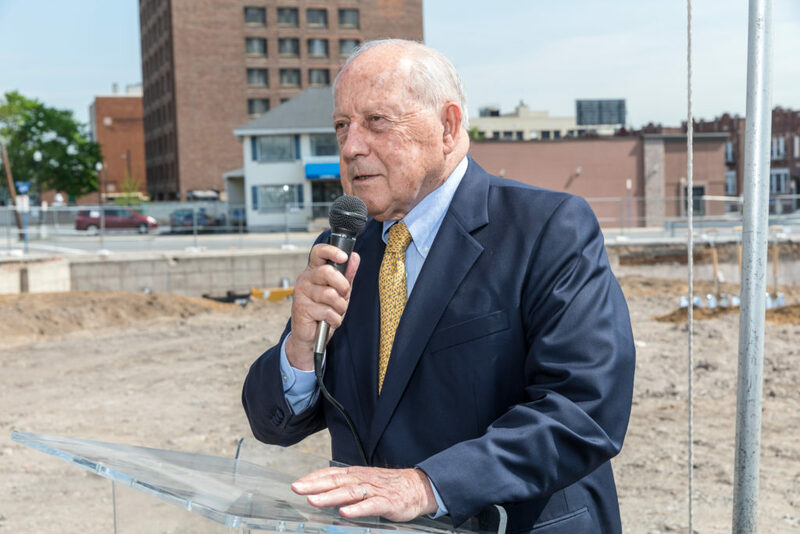 But he also said those outside Hackensack are taking note, pointing to this week’s planning board approval of a proposed rock-climbing facility at 77 River St. 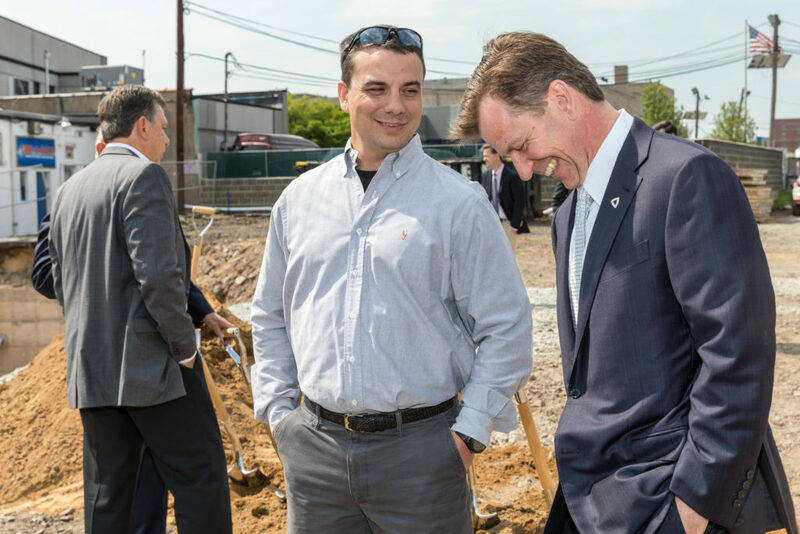 Tags Claremont Cos. hackensack Minervini Vandermark Provident Bank the hampshire cos.